18 cm long (7.5 inches). 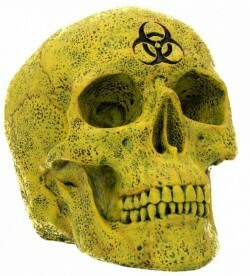 Acid yellow skull. Weighty and a good size for display. Made from a quality resin for a bone look and feel, excellent detail. A great home decoration for the collector of fine skulls.